Looking for an MP3 cutter? 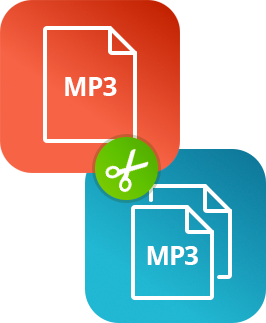 With MP3 being such a popular format, we often encounter the question of how to cut MP3 files. You might want to use a new cool song as a ringtone, but the intro is too long. Or maybe you want to extract just a piece of a vocal track or an audiobook. The problem is finding a suitable cutting tool, an MP3 trimmer if you like. 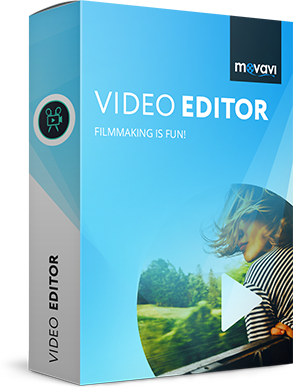 And in this case, an effective solution is to use Movavi Video Editor. 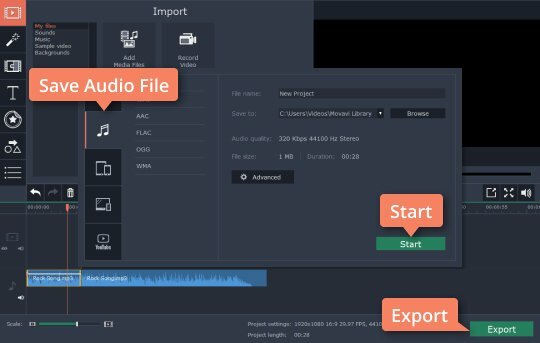 It's a user-friendly program for PC and Mac that can help you do all the editing you need: cut and chop songs, add sound effects, split one audio clip into multiple tracks, and more. In addition to MP3, this powerful audio slicer supports all popular formats, including WAV, WMA, FLAC and more. Download Movavi’s music clipper now and follow our simple tutorial on how to trim MP3. Launch the installation file and follow the instructions. When the installation is complete, the MP3 cutter will start automatically. In the launch window, choose Create a project in full-feature mode. Click the Add Media Files button and choose the audio files you want to edit – they will automatically appear on the Audio Track. To cut down an MP3 file, place the red marker on the Timeline at the first desired cutting point and click the Split button. You can snip your audio as many times as you want. To remove all the unwanted parts, simply select them and click Delete. Click Export and choose the Save Audio File tab. Select the desired format, file name, and folder you want to export your track to, and click Start. 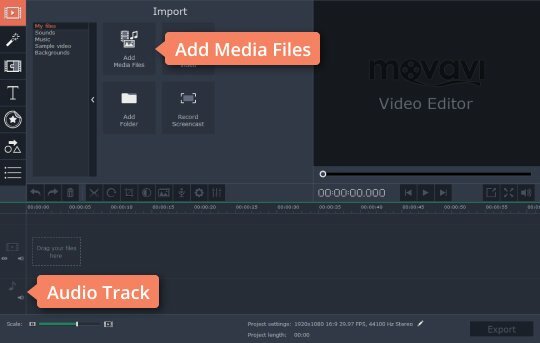 Now you know how easy it can be to cut audio files with Movavi Video Editor – a multifunctional yet easy-to-use MP3 music cutter for Windows and Mac. 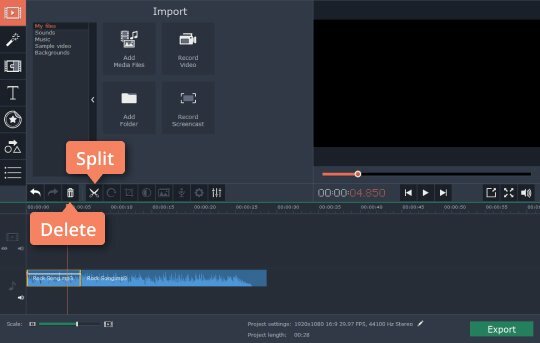 In addition to working with audio files, the app provides high-quality video editing tools: create full-length movies and slideshows, upload your films directly to YouTube and share them with millions of people worldwide!